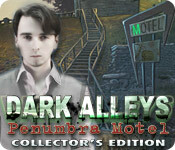 Dark Alleys: Penumbra Motel Collector`s Edition is rated 4.2 out of 5 by 130. Rated 5 out of 5 by gamesrgreatfun from A Great Classic That is Fun to Play Again and Again!! I bought this game back in 2012 and played it through and loved it!! I loved it so much that I remembered I loved it 3 1/2 years later! I just replayed it and had a blast once again. I really like that it doesn't have any H.O.S. to slow the story down, which moves very quickly. Most of the time it was obvious to me where an object in the inventory was needing to be used and I would travel there and use it. There didn't seem to be too much traveling around required--most of the objects were used in the present scene or the last 2 or 3 scenes. There were a few times where I missed something in a scene and had to use the strategy guide to figure out what it was. I could have used the hint but I don't like to in this kind of game. The mini-games were awesome!! Challenging and fun!! 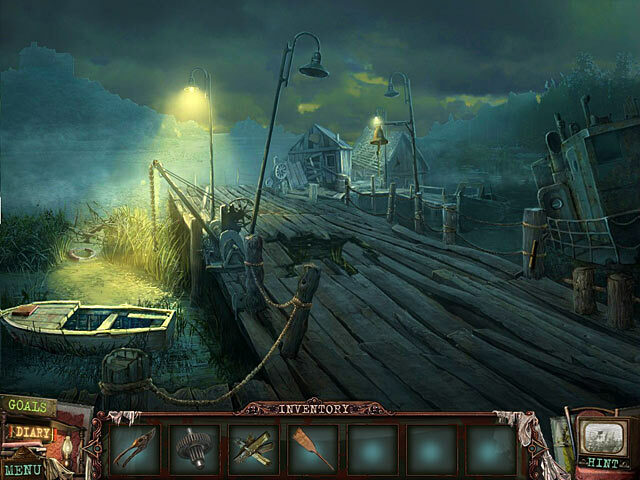 Graphics were very detailed drawings that added to the atmosphere of the setting of the game. In other words, great! Storyline kept my interest and intrigued me to continue playing to find out what the true story was behind the murders of this family so many years ago. A winning game that I am sure I will replay again sometime. The screen would not play widescreen on my computer but that was a minor detractor from the game play. I highly recommend this game even with all the newer games out there. It is fun to play! Rated 5 out of 5 by smoovasbutter from Decent effort This game reminds me alot like Fright, right down to the use of real actors. Its the first ERS game that I have played that actually takes place in (relatively) contemporary times. They did a good job. There is some hokeyness of course, which is expected for this genre. I wasn't too crazy with some of the music, which wasn't scary enough but the graphics were just fine. The interesting thing is that there are no HOS scenes in this game! Its all minigames. The game is relatively linear where a room generally has all the tools to unlock puzzles within that same vicinity, so you don't really have too much annoying back and forth. The bonus chapter isn't bad and has a somewhat lovecraftian ending. Rated 5 out of 5 by ladyblue1968 from EXCELLENT GAME What can I say but that I LOVE this game.My review is based on the Collector's Edition.I enjoy games that are considered "dark" and that use real people in the storyline.If you like True Fear;Forsaken Souls and games such as Mystery Case Files:Dire Grove,and MCF 13th Skull then you are going to love Penumbra Motel.Enjoy! Rated 5 out of 5 by pennmom36 from Dark Alleys: Penumbra Motel CE Somebody has been watching your every move since you first arrived on that desolate highway known as Route 66, watching you AND filming you! You are on a weekend adventure to take your friends daughter, Monica to see her ailing grandmother, but this good deed will put you somewhere between reality and insanity! Monica asks politely for some money to use at the gas stations store and skips merrily toward the door, and the unthinkable happens, she is abruptly grabbed by a stranger who locks the door behind him! You frantically search for items to use to get inside and protect yourself when a ghostly apparatus appears to warn you that Zack Penum has taken Monica and his intentions are evil. A murder took place in this very Motel, Zack Penum went on a brutal killing spree using a large axe and a pen knife (the axe probably got too dull). The victims were Ellis, Jack and Mary Penum his own family and his daughters boyfriend! There was a sole survivor, the youngest child, Frank merely 11 years old! Could Frank have returned after all these years to finish what his father didn't? This is a classic adventure game with great cinematic clips, rustic, grainy graphics to set the atmosphere and creepy actors and ghosts. The Collectors Edition has a built in Strategy Guide, music, concept art, screen savers, wallpapers and a bonus game. You can choose from 3 modes of difficulty, Casual, Hard and Advanced and there is a setting option for Fullscreen and Widescreen. You lug around an old projector that will be used to view different reels of film you come across that tells you bits and pieces of the story including footage from the war that Jack served in, the projector case also holds collectible war medals that you find. This is an adventure game with puzzles and mini games, there are NO hidden object games in any way shape or form and I promise you won't miss em, this game is that good. There are several areas of interest in each scene, tons of inventory items to use and collect, so it doesn't become mundane at any point. 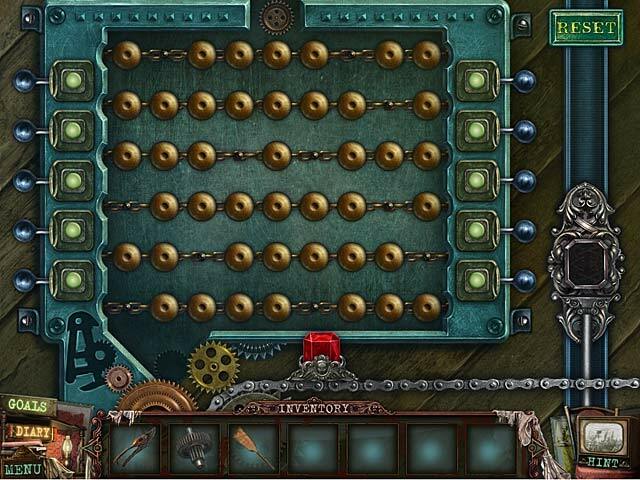 The mini games are actually quite good ranging from simple puzzles like reconstructing a photo that has been torn, and more complex and time consuming games like turning on all numbered cash register buttons in the correct order. My favorite game was guiding color coded buttons to bridge the gap of their matching colored wires by using directional arrows. The arrows guide two buttons at a time through a maze, you choose which colored buttons to move by flipping the desired colors switch and you have to manipulate the buttons by using dead ends and walls so that both buttons reach the wire gap at the same time! I actually own this game and re-downloaded and dusted off, even though this game is now a couple of years old, it will always remain a classic that can hold it's own against the newer games of lte, enjoy! Rated 5 out of 5 by neilskinut from ers so I got it ERS games are great so I played for 30 min and got it for free. I would have bought it also. Great graphics and the sound is good. I love adventure games so this is up my alley. DO not care if there is no HOS. Looks like a good game to play. Try it. Rated 5 out of 5 by monileme from Scary Excellent game. Scary sometimes, with good timting between scenes. 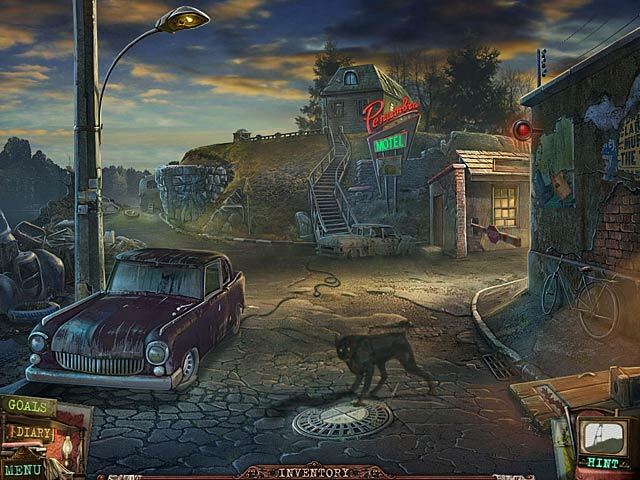 Rated 5 out of 5 by puppynurse from CREEPY ADVENTURE This game was so much fun I did not want the end to come!!! I loved the fact that there were not 101 HOS as a matter of fact there were none. The game was not that difficult to figure out but not too easy either. I found myself chuckling out loud at some of the stuff that happens. I do not want to say too much cause I do not want to spoil it for anyone who has not played yet. You do need to scan the scenes and look for things you need to interact with, but it makes sense to use certain items for certain tasks. The live actors also make this game even better. The music is just okay kind of carnival like. I am so happy I purchased this game I will definately play again. Great job ERS keep more like this coming. Rated 5 out of 5 by Hellhounds from Dark and awesome! Well, as a massive dobermann fan, I was doomed since their first appearance... :D But anyway, oh my! It is an absolutely beautiful, haunting game. No hogs in it, but that's okay, you have a lot to do even without them. The graphics is darker than usual, it fits the story. Voice overs and actors are perfect, especially the old man with the white beard! :) The story was really strong, sometimes a little hard to follow. Screensavers and screenshots are awesome, still use them. My only little problem was that we had to use those brooches (or what) many a time the same way. Rated 5 out of 5 by An0therW0rld from Fantastic Immersive Atmosphere... As with most HO games the storyline is "crazy" but that aside I thoroughly enjoyed this game as the immersive atmosphere was great! My favourite visual being the ginger cat ... made me laugh. Music great and overall a very enjoyable several hours in a 'different world'. Thank you ERS. Rated 5 out of 5 by Juju38 from Fantastic!! Loved this game and the graphics are superb! It's the usual kidnap story but every game is unique and this is no exception. Great length of play and the bonus was a good hour of extra play. The only downside i feel is the missing HOS, just wasn't the same without the hidden object scenes and just constant running around looking for objects all the time but still enjoyable all the same. Please keep the HOS in the games as we love them!.